“I’m Bored.” a common statement from students in class say when they have nothing to do. On several occasions I have had students tell me that they are bored and they have a look on their face that says that I should entertain them or solve this problem for them. I say it’s not my problem to solve. Make something, draw a picture or find something to use that boredom to your advantage. But many avoid being boredom like the plague. Yet from what I have read, being bored is actually a good thing. One study had some volunteers read the phone book before taking a test and others did not. If you have ever seen a phone book you would agree that it is a boring task. They found that the volunteers that read the phone book where better at solving the problems than those that did not. As well a study from the College of William and Mary examined 20 years of creative tests and found that creativity scores declined steadily. So how does being bored help you? Studies have shown that being bored is an important part of being creative. This can also lead to breakthroughs and being more productive. You see the brain does not have an off switch. It wants to gather information or stimulation. Boredom happens when your brain does not receive enough stimulation. It cannot slow down so it goes back into your memory and reprocesses old information and twists and turns it around. Many people call it daydreaming but psychologies say that it is a complex process that allows you to see the information from new and different points of view. I have observed that many students and adults try to avoid being bored. In some cases many students are over stimulated with endless extracurricular activates. 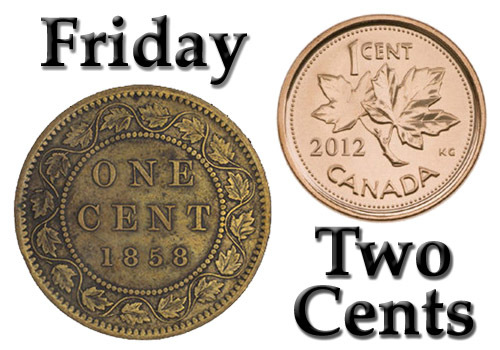 Monday hockey, Tuesday tutoring, Wednesday music, Thursday hockey, Friday dance and the weekends are filled with others activities or else playing on electronic devises. There seems to be no opportunity to get bored or even some down time. They are missing a golden opportunity to be more creative and imagine the impossible. I didn’t realize it until I read about being bored that I do daydream a lot. Many of my friends can attest to that statement. I do this when I go for walks or when I relax to some music. I lean back and I let the world around me fade away and it is replaced with endless worlds created in my imagination. From these moments I am able to create art, solve problems and imagine wondrous possibilities. So I say get bored. You never know what fantastic and wondrous possibilities you can discover. This week I had the opportunity to “Captain” a class for the first time in the sense of setting the curriculum for the students, in a kindergarten class, as a teacher. Last week I followed the plans the teacher had laid out but this week I was able to plan for the week. During the first week, I was able to observe the students and I discovered an area they were interested in; superheroes. From this information I was able to create a program to help the students explore this subject while helping them in other subject areas such as media literacy, language and art. 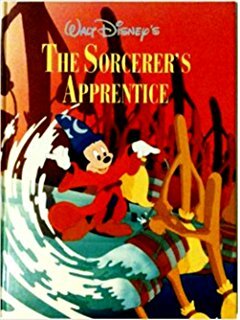 If we are doing heroes, I though why not start with one of the first stories based on a hero. 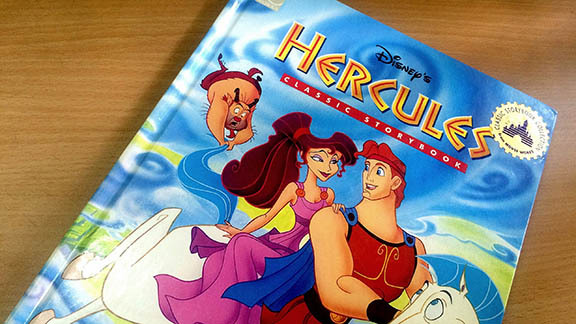 Therefore I started the week by introducing them to a picture book called Hercules. It is based on the Disney movie version. It is about 100 pages so we read only a few pages a day and I had my special bookmark to help us remember where we left off. The students loved this story and every morning they would ask when are we reading the story of Hercules. I then helped them to start thinking of colours as warm and cool with an art project. They would create a sun in the sky, divide the paper by drawing two horizontal and two vertical wavy lines and then colour it with warm and cool colours (the sun warm and the sky cool). We then explored the world of heroes and villains by using characters they were use to from the media. I told them media are things they see and hear from movies, television, radio, newspaper, magazines and the Internet. 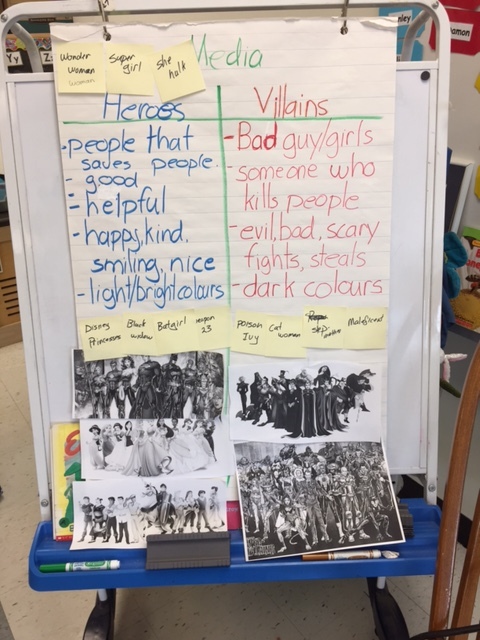 We focused on the characters from the Marvel, DC and Disney universes and they came up with a comparison chart of what makes a hero and villain. They came up with words such as good, happy, helpful, smiling and kind for the heroes and bad, evil, scary, fights, steals for the villains. I also asked them if they noticed the colour of the outfits each group wore. They came up with light or bright colours for heroes and dark colours for villains. We than had group activities where they would create their own superhero. One day it was a male hero, on the second it was a female. We noticed that there were more male/boy characters then female/girl. I then had them talk amongst themselves to come up with a few female character names. They came up with a few and we wrote them on post-it notes and placed it on the chart. We also explored the idea of violence in cartoons. I showed them the scene of Charlie Brown trying to kick the football but Lucy moves it at the last-minute and Charlie goes flying. It may look funny but I asked, ‘How to you think Charlie feels?’ I also showed them a scene from Peter Pan when Peter and Wendy meet the mermaids. They said that the mermaids look like the heroes but after they saw the video they said that they were mean for picking on Wendy, pulling her hair and getting her wet while Pan just laughed. Scenes like that may look innocent but I asked how do you think Wendy feels. They said the mermaids were bullying her and Peter should not have laughed. They were very aware and we had a little discussion about it. The final project for the inquiry was to create their own hero or villain. I gave them a choice of a male or female character outline to create their own character. I reminded them about the colours they should use for their character to make them look like a hero or villain. The results were amazing to see. We finished the media literacy inquiry with the final project but the students wanted to do more. I told them that I will have the chart up for them and we can use the iPads to help them explore more during the last week of school. We also finished the story of Hercules and as a bonus I would bring in the DVD of Disney’s Hercules for everyone to watch. They were all excited and could not wait for next week. Next week is the last week of school and the students are engaged and excited to learn more. As a teacher I can’t think of a better compliment they could give me. This past week has been a whirlwind of a week to say the least. First off I finally made it onto the Occasional Teaching (OT) roster of a school board. I say finally because after 2 years in university, one year of teacher’s college and 2 years of supplying as an early childhood educator (RECE), I can say that I am working in my chosen career. As great as that sounds it is only the beginning. I went in on Monday to the school I usually go to for my first day as a supply teacher. The experience was amazing! I was in a grade 5 class where all of the students basically knew me and I knew about half of them since kindergarten. I then covered a few other classes where I had the same experience. At the end of the day I received some good news for me. A teacher had gone on sick leave and they asked me if I could cover the class until the end of the school year. I jumped at the chance and the best part was that it would be in a kindergarten class that I have already worked in as a RECE!! So the following day I started in the kindergarten class as their teacher until the end of the year. The experience was a lot different then when I was a RECE. I have been in the several classes as a RECE for several weeks and months at a time, yet being a teacher in a class is totally different. They say the weight of responsibility weighs heavy on those in authority and I can now say from experience, that it does. Before, I was helping the teacher, something very similar to a “sergeant”. Someone in authority and respected, but subordinate to someone else. Now as the teacher I am like the officer, the “captain” of the ship. You still have someone to report to, the principal (Admiral), but you chart your own course, steering the ship in a direction towards a destination for learning. The crew (the students) are your responsibility, you must keep them safe and ensure that they benefit for your leadership. This week of being the “Captain” in the class was amazing. I had the benefit of the programming of the previous teacher and then I threw in my own spin in teaching the material. Next week I bring in my own plan of action, so to speak. This coming week I am the captain of the S.S. Kindergarten. Their on going journey, into a new and exciting world of learning and exploration. 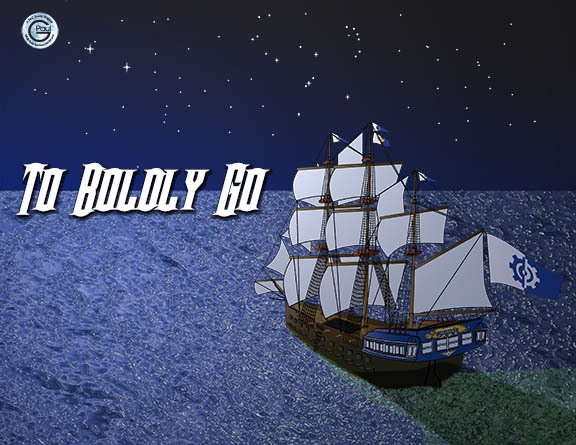 To boldly go where we have not gone before. This past week has been a bit trying to say the least. The students in the class are all great yet the dynamic in the room between the students has been a bit … unkind to one another. One of them even told me that they were not being good friends to one another. These are kindergarten students so the social behaviour is something that needs to be taught and encouraged in great deal at school. 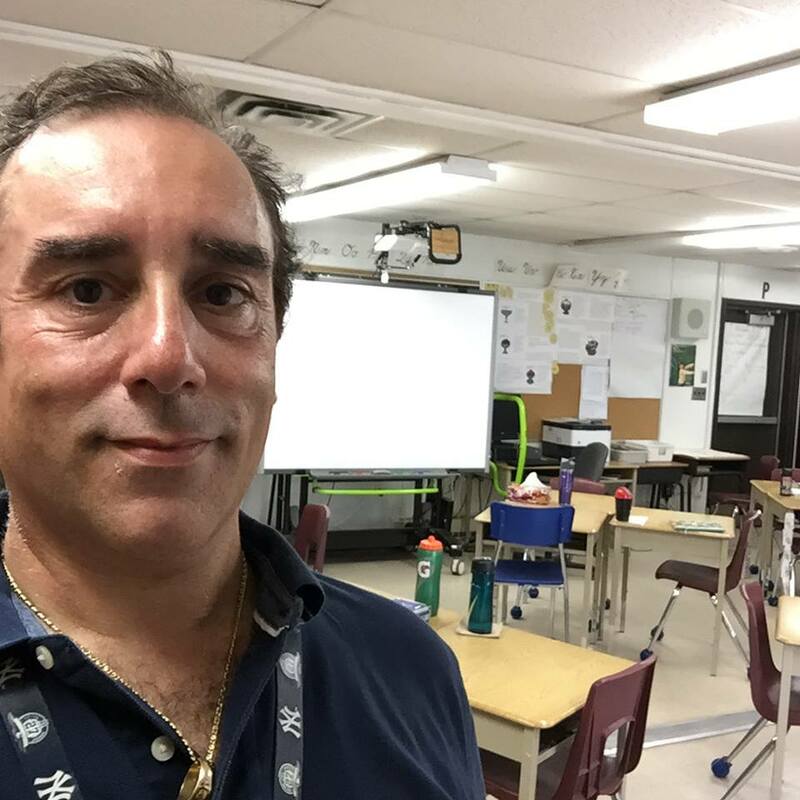 With this information the teacher and I embarked on a new inquiry, ‘Being a good friend to each other.’ I was asked to try to develop a few lessons to help the students be kinder to one another. The first thing I thought of was to create a chart of positive behaviour we need to work on. I read the book “What does it mean to be kind?” and the class and I created a chart together. We called it Manners and we came up with a few ideas. The first was saying please, thank you, you’re welcome and I’m sorry as the number one class rule. We also came up with listening to each other, helping others, being patient, sharing and treating others the way you want to be treated. Not a bad start for kindergarten students. The next day I reminded the students about these rules by pointing out examples from their own actions when they were and weren’t following the rules they helped to come up with. Yet I also brought in a couple if things to help solidify these rules. One was a book called “How full is your bucket?” and the other was my Mufasa and Simba puppets. 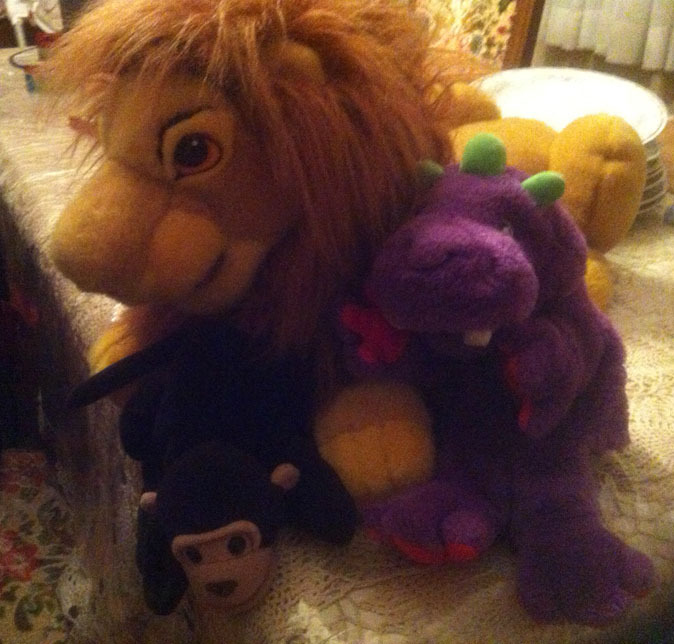 My Mufasa and Simba puppets helps the students see that the adult lion Mufasa has rules that Simba may not like but they are there to keep him safe. These rules are not there because he wants to be mean to Simba or that he does not like him but because he cares very much for Simba. The moral is that adults have rules for kids because they care about them and they want them to be safe. As well, if Mufasa is upset with Simba for breaking a rule he is not angry with him all the time, he still cares for him. The same is true with adults like their mothers, fathers and teachers. 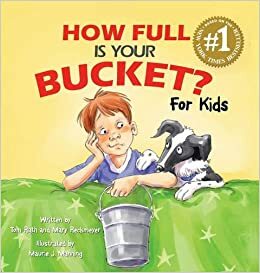 The book “How full is your bucket?” encourages positive behaviour by using the idea of an invisible bucket to show children how easy and rewarding it is to be kind, appreciative, and caring by “filling buckets.” This is not a new concept for the students but perhaps some reminding will help them. I reintroduced the bucket idea on Thursday and all day Friday they kept talking about filling each other’s buckets. It feels good to see that they are embracing this idea and the other concepts I have been trying to instil in the students. Yet the one thing I have been doing as well is being very firm when it comes to room discipline. I allow the students free expression yet the rules, manners and the bucket ideas are being strictly reinforced by the teacher and myself. I thought that they may have a problem with the extra discipline I am introducing but it appears that the students are welcoming it. I have noticed a bit more smiles on the students and a feeling of calmness in the room when it comes to the students’ personality dynamics. I guess the drill sergeant in me has a place within a classroom even when I am only there for a short stay. Only time will tell if these initiatives will hold up for the rest of my stay. Last week at the school I am working in, they were having a fundraiser to raise money to help support Sick Kids Hospital in Toronto. Every group would be responsible for one of the three days to help raise funds. Tuesday was popcorn day, Wednesday was ice cream and Popsicle day and Thursday we had baked goods. The students also participated in the fundraiser by helping to sell the goods and my grade 3, 4 and 5s’ also helped to make the baked goods. I am not very good at baking, correction not good at baking with kids (too messy for my liking, actually the clean up part). Therefore I volunteered to help create awareness by creating posters with the students. I did not want to create the traditional posters the students and teachers make with large paper and tempera paints. I learned a new way and I wanted to share it with the students. So we created Graffiti Art posters. We needed to create four posters, one for each day and a central one with Sick Kids on it. This was perfect because I had four groups. Below you can see the images of the different stages of the process and the best part was that I had the students do all the work. Stage 1 – The students’ chose which poster they wanted to create and they got busy creating the letters for the sign. I gave them card stoke paper and told them that they can create the letters in any way they wanted. They didn’t have to be the same and they could cut out the letter and have them either a negative or positive cut out (the letter itself or a page with the letter cut out in the centre). They then would tape the letter onto a large piece of butcher paper. I told them that they would be spray painting the letter with black paint and whatever is taped down would be the colour of the paper and exposed sheet would have the paint. Stage 2 – once the letters were taped down, we took the large sheet outside and spray painted the letters and sheet. I let the students spray paint their own letter after a bit of instruction on how to do it. You need to spray paint outside because of the smell, and I used flat Black paint so it would not look too shiny and it would be easier for the next stage. Stage 3 – after the paint was dry and the smell has gone (usually it takes a day), I had the students colour in the poster using oil pastels. I told them to remove the paper stencil they created and then just look at the poster and their letter before they coloured. I told them to take a moment and see what they could do with their letter, to use their imagination. What they created was imaginative and inspiring. Usually a vacation is when you go off somewhere to relax and forget the struggles of the daily grind. Yet this summer I decided to go somewhere and improve myself and take an additional qualification (AQ) course. An AQ course helps teachers learn new skills that they can bring into the classroom. From math, language and science to the arts. The AQ course I am taking is entitled Visual Arts, Part 1. It helps teachers with the foundations of visual arts from elements and principles of design to activities they can bring back to the classroom that is based around the Ontario curriculum for the Arts. I have always been interested in all art forms. Music, drama, dance, and the visual arts, yet I particularly enjoy the visual arts. As you can imagine it covers a wide spectrum of art forms, all of which I enjoy. 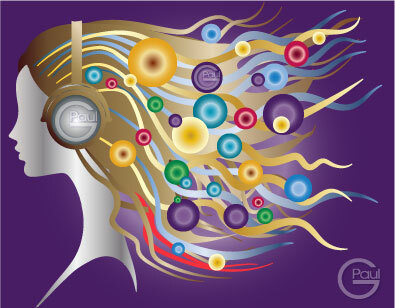 There is a lot to cover in the course but it is very fulfilling. So I choose to make this journey into the art world a part of my vacation. The other benefit is that I am taking the course in a wonderfully beautiful small city in southern Ontario, Guelph. I have my undergrad from the University of Guelph and I have always enjoyed going to Guelph since my parents took me as a child. Now I have the opportunity to explore and experience the rich artist atmosphere the city has to offer. I have been busy with my studies and I have not been able to take in too much but this city has inspired me to draw and create. I also went on an art galley tour with the professor and other teachers in Guelph. I had no idea that Guelph is full of artists. I was so engrossed with the tour I did not take any photos, a situation I will remedy the next week. There have been a lot of art discovery this week and I cannot post all of it here, yet I will post some photos of some of the activities I did that inspired me to create. These included a few elements of design such as line, colour, shapes and texture. See if you can figure them out. Yet I believe that the most important lesson I learned comes from what Picasso once said about art. After a week of art my soul is refreshed and ready for the next day.